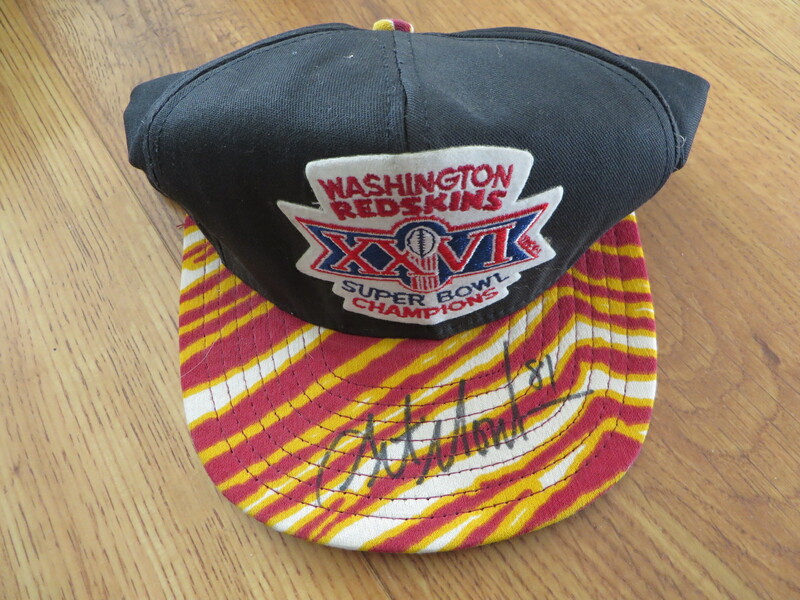 Original Washington Redskins Super Bowl 26 Champions cap or hat autographed beautifully in black marker on the bill by Hall of Fame wide receiver Art Monk. Adjustable size (snapback). With certificate of authenticity from AutographsForSale.com. ONLY ONE AVAILABLE FOR SALE.